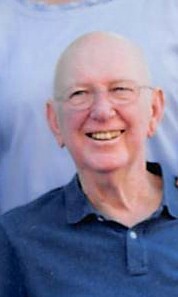 Mr. Carroll Lamar Hendrix, 78, resident of Thomasville, died April 8, 2019 at his home, surrounded by his loving family. Mr. Hendrix was born March 6, 1941 in Calhoun County, Arkansas, a son to the late Grady A. and Bertha Chambliss Hendrix. After leaving Arkansas, he served in the United States Air Force for eight years. As a resident of this area most of his life, he retired from Harris Teeter and was a member of Green Street Baptist Church where he spent many years helping with children’s Sunday school. He was dedicated to his family and loved spoiling his grandchildren, who affectionately called him “Pawpaw.” He was an avid fisherman and loved his many outings with fishing pal, Rick Slate. With his witty sense of humor, Carroll never met a stranger. In 1962 he married the love of his life, Margie Reid who survives at the home. Also surviving are two daughters, Anita Dortch and husband John of Kernersville, Lisa Myers and husband Darin of Archdale ; a brother, Calvin Hendrix and wife Pam of Arkansas; two sisters both of Arkansas, Marquita Gatling and husband Don; Loeta Smith and husband Jimmy; six grandchildren, Meagan Baucom and husband Andy, Whitney Carol Levens and fiancé Carlos Ariza, Spencer Gallimore, Andrew Gallimore, Logan Myers, Tyler Myers and fiancée Katie; one great granddaughter, Ava Carol Levens; and many special nieces, nephews, and friends. A celebration of life will be held at 2:00 p.m. Wednesday in the chapel of the Cumby Family Funeral Service in Archdale with Rev. Frank Hensley officiating. The family will receive visitors at 1:00 pm, prior to the service. Internment will follow at Holly Hill Memorial Park Cemetery in Thomasville. Memorials may be directed to C.A.S.T. for Kids, 297 SW 41st St. Renton, WA, 98057 or to Hospice of Davidson County, 200 Hospice Way, Lexington, NC, 27292. Special thanks is extended to Christy Whitener for her special love and care over the last few months as well as Hospice of Davidson County.